My family and I have big news! 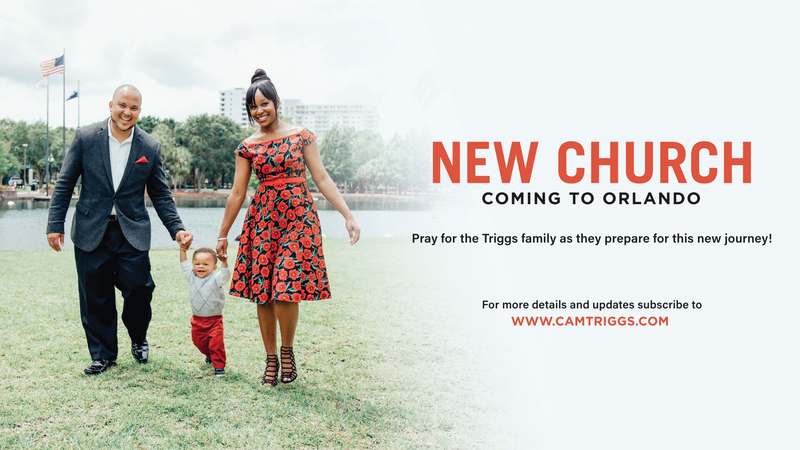 God is leading us to start a new church in Orlando, FL. This may come as a surprise to some and yet many of you saw it coming. Church Planting has been something certainly on my heart for sometime now, since my days in seminary. But now is the time. We are stepping out on faith and trusting God to start a new work that will be Jesus-centered and strategically focused on engaging those who don’t know Him! Here are ten reasons I sincerely believe God is calling our family to start a ministry in Orlando. God’s Glory – We are created for God’s Glory. It is the ultimate reason. There is no higher reason. Changed lives are great. Seeing a new ministry being birthed is awesome. But if it is not for God’s fame to be spread as the ultimate treasure then it is purposeless. In all honestly, I want this new church to be about God. Not me. Not preaching. Not innovation. Not vision. Those are all great components to have. Still, they are not ultimate. God is. God will not give His Glory to another; nor should he (Isaiah 48:9,11). I FEAR the day this new church becomes about anything other than God getting glory through everything. On the other hand, I am excited at the possibility this new church has to lift up all the attributes of God in the city of Orlando so he may be esteemed and treasured amongst his people. God’s People – God loves people. He loves them so much he gave his only Son to die for them so they may have a restored relationship with him (John 3:16). God cares about the souls of people who are lost. He raises up shepherds who have this desire and burden. God raises up shepherds who desire to leave the 99 to find the lost. In the book of Acts, Paul was comforted in the face of persecution because he knew God had people in that city who belonged to him. I believe that is true about Orlando. God’s Calling – God has given me an internal call to plant a church. I have a desire to see the Gospel go forth that is unshakeable. I’ve had many opportunities come my way besides church planting, that were all amazing ways to glorify God and serve his people. However, I could never shake church planting. My Gifts – Through my abilities, circumstances, and of course God’s providence I believe God has been preparing me for this task. God providentially prepared a young shepherd boy to become the shepherd of the nation named David. God providentially prepared Paul through culture and personality to play an essential part in the formation of the church. 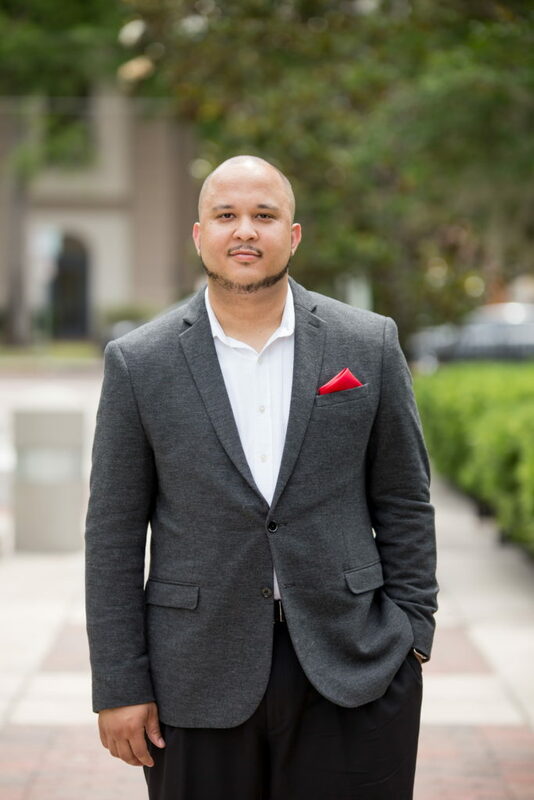 Through my experience at UCF as an religious studies major, studying at Reformed Theological Seminary in Orlando, leading a young adult ministry at Antioch Missionary Baptist Church, and doing youth ministry for three years has allowed me to refine my gifts and grow in Christ-like character. My Fears – Following God’s will is not always easy. There is a lot of fear that attempts to keep us on the boat instead of walking on water with laser focus on Jesus. I fear failing at this endeavor. I fear not raising enough funds. I fear attacks from Satan. But then I am reminded that God has not given me a spirit of fear but of power love and a sound mind (2 Timothy 1:7). Fear cannot be the primary deciding factor. Faith is. Therefore, I am moving forward to see faith work itself out in love in the Beautiful City. My Comforts – I have some good friends at the Image Church here in Jax. They use a phrase that is true. “Comfort is a killer.” You wouldn’t think so; but it is. Comfort is the reason we deflect and defend our sin instead of pursuing the uncomfortable joy in repentance. The root idol of compromising comfort is self. I am sinfully self-interested even in my most “spiritual” endeavors. Don’t believe me? Just tally up the times the Lord has “led” you to do something you really want to do. Biblically, that is not always the case. He called Jonah to Nineveh. He called Jeremiah in his youth. He called me to Orlando; away from family, my church, and my comfort. He called me to start from scratch once again. I’m ok with that. My identity and security in Jesus lets me face the loss of comfort. Shiloh’s Support -I have been tremendously blessed to serve for more than three years at Shiloh Metropolitan Baptist Church. Under the leadership of HB Charles Jr. I have grown as a pastor, preacher, and more importantly a man. There is a stereotype that black churches do not support church plants or missions. Perhaps there are some statistics to support it. Whatever the case, Shiloh cannot be counted. The support, prayer, and willingness to send me as a son of the church has been encouraging. Summit’s Training – Before we land in Orlando, my family and I will pause and prepare in North Carolina for 9 months. Why? One Word: Summit. Summit Church is one of the BEST residency programs led by JD Greear and his phenomenal Summit Network staff. We chose this residency for two major reasons. First, its Gospel-centered, sending DNA. There are few if any churches that take sending planters and missionaries more serious than Summit church. As I prepare to engage the urban context, building and sending leaders is essential. I hope to be one domino in a chain of church plants starting in Southeast urban centers. Second, the Summit residency is holistic. It covers systems but it also shepherds families. Within the context of a local church, I know my family and I will be cared for and sent with spiritual health as a priority. My wife – I saved the best for last. Really. I did. Without my wife none of this would be possible. God has used her as an ultimate helpmate. She supports me. She inspires me. She takes care of home. She contributes greatly to my ministry. With the Holy Spirit and her by my side, I am ready to storm the gates of hell with nothing but a Bible and a vision for people to see Jesus. Will you join us? I have given you my reasons. What could be yours? I ask that you commit my family to prayer on this journey. Consider supporting by serving or giving. However you decide, it will be more than enough. Our timeline is to leave in August 2016 to begin our residency with Summit Church. After 9 months there, we will land in Orlando ready to start the early phases of starting this new church. Subscribe to this blog to receive more updates! When you are ready please contact me. I would like to invest a monthly seed into your ministry. Thank you brother! We will keep you updated for sure! Praying for you and the family doing this great step of faiith. Trust in the LORD with all your heart, and do not lean on your own understanding. He will never leave you nor forsake you. May grace and peace be multiplied to you in the knowledge of God and of Jesus our Lord. We love you Pastor Cam, Ty and baby Cam. Thanks for allowing Deacon Douglas and I the opportunity of traveling this great journey with you guys!!!! God bless you and your newfound ministry. What will your church name be? Where can funds be sent to? More details will be available early fall was we meet with our Residency program. I will be sure to contact you! Thank you for your time at Shiloh and the positive impact you and your wife have had on our youth. May the Lor continue to bless you and bless your ministry beyond measure. I will truly miss you and I Taylor and Tori will kiss you. We love you! Amen! We love you too! Thanks for the support. Thanks Ashanti! Appreciate the prayers. Thanks sis! Always For God’s Glory! Praying for you &the family doing excellent to the lord.Keep the Lord with you, with all your heart &do not lean on your own.He will never leave you & your family you have stay on faith.I know in my heart you will do excellent because I see it & God seen it first, keep your eyes on Jesus. PS.I will keep praying for you & the family in this new journey &special this young lady did a big growth from your teaching my daughter Keilee Thompson!! I love you Pastor Cam&Ms.Tya.& special baby Cam. Bro! I’m so Godly proud of you and your family. Please let me know how I can financially sow. I will def keep you updated my brother. Grateful for your willingness to support. Pastor Cam & Tymara! I am excited for your family with all the things God is prepared to do for you in your obedience to Him. Our youth have certaintly been blessed with some great youth pastors and are now added to that list. You all will be missed! We love you and will continue to pray God’s blessings as well aa protection. Thanks again! Truly grateful for you and the ladies! Wow! Praying for you, your family, and your new assignment. God is awesome and is worthy to be praised! Prayer and supplication will abound. I have family there. My son and cousin attend UCF. It will be a blessing to have a place to worship on Sunday during my visits. I am willing to assist in any way possible. You just let me. God bless you and your family. My heart is filled with joy. Thanks for the willingness to serve! Pastor Cam, thank you so much for all that you did for youth at Shiloh! So sad to see you go; but happy for you to be able to fulfil your vision in working for God! My prayers are for you and family as you make your plans and for your future success! Yes it will be successful! Please in the future let me know and I would like to monetarily help! Thanks again! We will keep you updated. Very grateful for your partnership in the Gospel! May God continue to Bless you and your family. You all will truly be missed by all and most definitely by the youth. I know that God will allow you to touch lives in Orlando like you did here. Now we will have a reason to come to Orlando. Again God Bless from the Prince Family. Honestly, thank you for those encouraging thoughts. To God be the Glory. What a blessing. You all have the support and Prayers of the Washington family. May God continue to open doors for your family. Thank you thank you and thank you! So great to have the support of my St. Thomas family! Surely will Deac! Keep is lifted! My prayer is that God will bless you and the family as he elevates you and his church for his glory. Thanks mom! Really thankful for your prayers and wisdom. All For God’s Glory! Thanks for your support. Wow!!! Praise God for the the wonderful things His is doing for you and your family! I commend you for taking a gigantic leap of faith and allowing yourself to constantly evolve for His glory. The impact your ministry is going to have in Orlando is going to be AMAZING! Congratulations! Thanks Tee! Keep us lifted please! In our prayers! We are excited for you and your family. Congratulations Pastor Cam, Tymara on your new blessing of ministry to the body of Christ… The blessings of the Lord be upon you all richly and continually. and gifts with so many. Thank you for your obedience to God’s calling to plant a church in Orlando. We will be praying for you all daily and we are here for you. Amen sister Muse! I am grateful for this! Thats a powerful prayer brother. Thanks! That really means a lot! It happens after prayer. We will be sure to keep you updated. Bro that’s great news. I always enjoyed your messages at Antioch. Hoping for a the best on this new journey. Very kinds words friend! Appreciate you! May God richly bless & guide you guys on this new journey. Remain faithful as I know you will! Such a blessing to see how the two of you have matured in the ministry. Love you…..
We love you too! Thanks for that encouragement! Excited for you guys, and for those in Orlando who will be led and shepherded by ya! Yes sir, exciting stuff. Keep us lifted man! Prayers are going up for your, your family, and your ministry!!! Prayers are going up for you, your family, and your ministry!!! Thanks! We need every prayer we can get! God bless you and Tymara and little Cam. Pastor Letson and I will keep you all in our prayers. It’s an amazing new calling God has assigned to you, but I know with His help and guidance, and Tymara at your side,He will see you through it all. We fully intend to support you in any way we can. We love you! We love you too family! Thanks for the support. Our family wishes you and your family well. God has selected another good man to start His church. Keep your eyes on Him every step of the way. Thank you so much brother! Truly thankful! Thank you so much! All For God’s Glory!